Never to young or too old to enter into our courses and brighten your lives. Young and old , male or female, girls and boys …all welcome at Embocraft Training Centre Trust – we will brighten your lives with colour. I would like to introduce you to Natasia Buthelezi… She was home schooled and battled to continue with her studies and her mentor approached us to see if we could help this young lady shine. 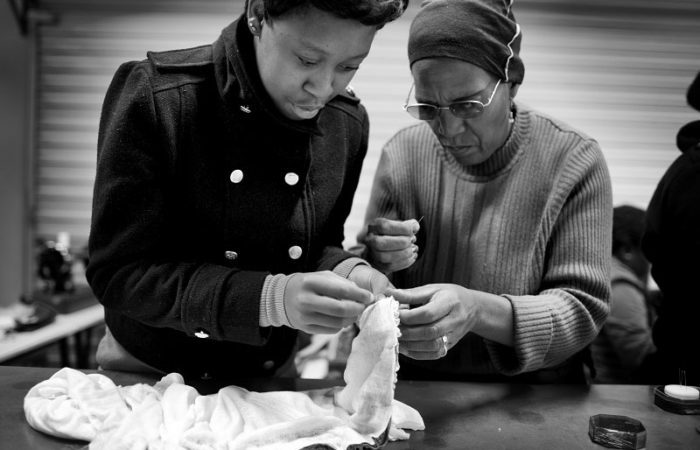 Natasia excelled in the sewing group and went on to mentor others whilst still learning herself. 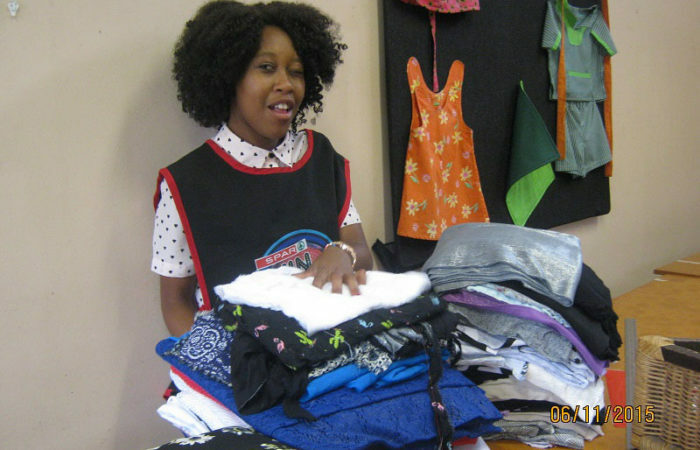 We managed to place her in a position with Hillcrest Aids Centre on a temporary basis where she used her sewing skill to make the most amazing bags. 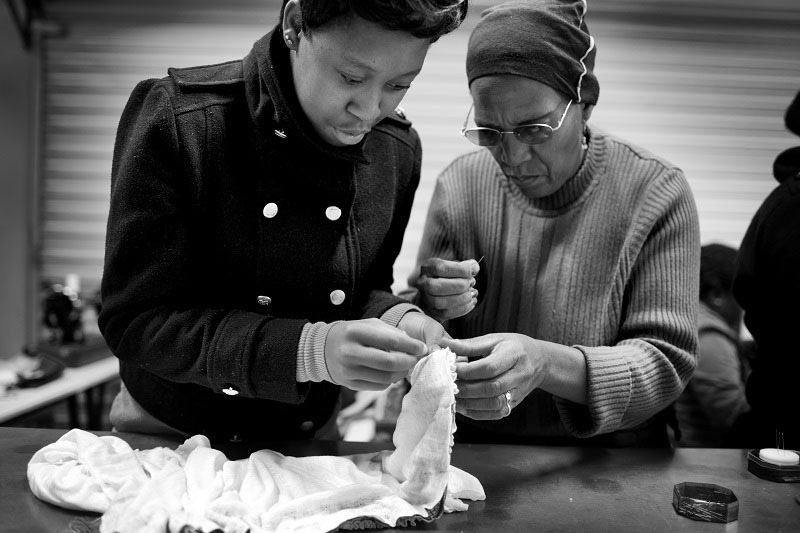 Always willing to give a hand in the sorting room, with donated fabric in an amazing array of colours and textures and Natasia just shone with pride when working in here. 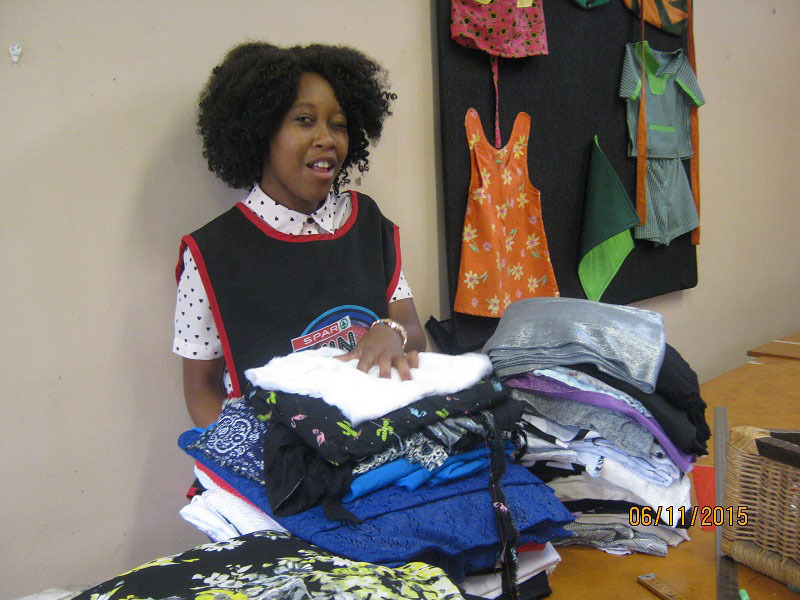 She went to to permanent employment using her sewing skills for a local designer and we are so proud of her achievements. 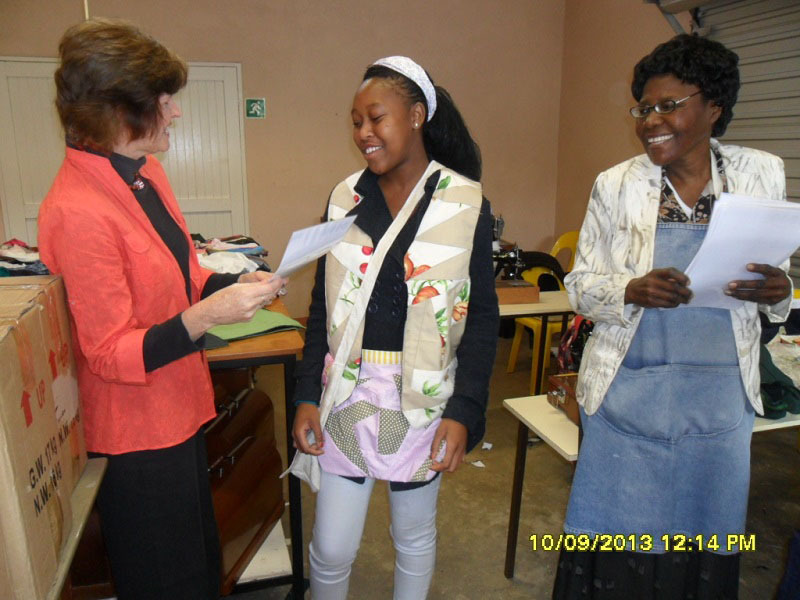 Not only did she enter the sewing group but when she had completed the course she went on to study Basic Computer skills with us. Well done Natasia we are proud of you.